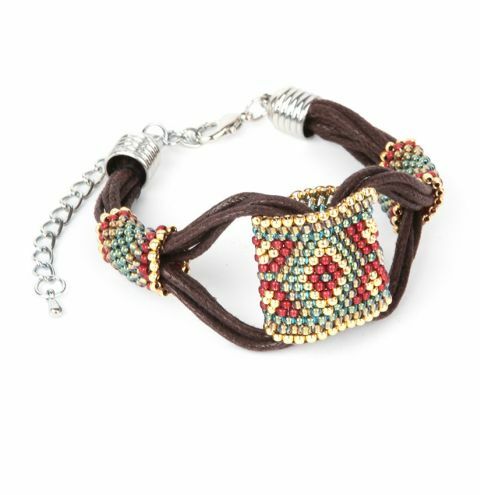 Make a bright Inca Tribal inspired peyote bracelet using tiny seed beads to make colourful connector tubes. Download your project pattern HERE. This Take a Make Break video tutorial will be available at 8am 12/03/2017.